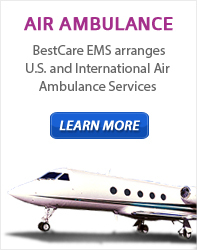 Best Care Air & Ground EMS were platinum sponsors for the 2012 A.C.M.A. Greater Houston Chapter. The event was the largest in the chapter’s history with over 300 members participating. The conference is critical to the world class Texas Medical Center case managers to strengthen the overall educational skills and collaborate on the best medical practices and focus on improving patient outcomes. We are very grateful to support the chapter that is one of the best in the world!